When you need a car, it’s tempting to visit the dealership as soon as possible and buy a car from the lot. But here’s the deal—if you rush into the car loan process, you could end up paying thousands of dollars more than you have to. That’s why it’s important to explore your options, dig into the details and take it one step at a time. Whether you have good credit, fair credit, bad credit or somewhere in-between, here’s everything you need to know about taking out car loans in Canada. An auto loan, more commonly known as a car loan, is a secured loan used to buy a vehicle. This means that the loans are secured, or tied, to the value of the vehicle. You can use a car loan to purchase cars, SUVs and trucks. You will usually make your loan payments on a monthly basis until the end of the loan term. For many people, an auto loan makes financial sense. However, as with any type of loan, it’s always a good idea to shop for the best auto finance interest rates and terms. Regardless of your credit score, it’s important to understand exactly how much you can afford. When it comes to finding the best car loan, the first step is simple: create a budget. There are three primary factors that contribute to auto loan rates, and it’s a good idea to understand the calculation behind your monthly loan payments. One way of finding out this figure is by using a car calculator. Once you understand this calculation, you’ll be able to work backwards in order to secure the best deal on your car loan. Even beyond that, you’ll be able to set a budget and stick to it. Principal: The principal is the cost of the car. This includes fees, purchase price, and taxes. It’s important to know this number (especially with taxes!) but it’s not the only figure you need to know. Term: The term is the length of your car loan and will usually be in months. In general, a shorter term means you’ll pay less interest. Interest Rate: Interest rates are the price of the loan, or the amount a lender charges you to borrow the money. Interest rates are specific to each loan applicant. Generally, you’ll want to find the lowest interest rate as this means you’ll pay less interest throughout the life of the loan. After you know how much money you can afford to pay for a car, it’s time to check your credit report. Check for errors: Your credit score determines what your loan’s interest rate will be. Ultimately, this affects how much you’ll pay for your car. If you see any errors on your credit report, it’s a good idea to correct those before you apply for auto loans. Know your score: Even though it might seem scary to check your score, it will help your loan search. Regardless of your score—good, fair or bad—it’s good to know so you can know what to expect when you start to apply. Once you have your credit score, you can start browsing the different Canadian car loan options. There are two primary ways to apply for an auto loan: at the dealership or through a financial institution. Here’s how they both work. When you apply for auto finance at a car dealership, you apply after you arrive. Even though it might seem convenient, there are a few potential downsides of doing this. The main downside is that you have fewer options. Even if you have excellent credit, it might not matter because the interest rates could be more competitive. However, for people with fair or poor credit, it’s important to not fall prey to myths about bad credit. Instead, it might be a good idea to shop around for a car loan to secure the lowest interest rate. There are different types of financial institutions—banks, credit unions, and more. When you shop around with financial institutions, you can get a quote for a car loan online before you ever step foot in a dealership. This is helpful because it means that you can search for the best deal from the comfort of your home. For example, LendingArch connects borrowers with loan lenders in their area. If you don’t have an ideal credit score, you might want to consider working with a lender who will be able to provide you with a financing solution specifically for your credit score. Pre-approval is the process of getting approved for car loans before you begin shopping. It’s helpful to get pre-approved because it’s easier to stay within your budget when you know exactly what your budget is. Furthermore, if you seek pre-approval for a specific amount, you’re less likely to feel the temptation of unnecessary fancy upgrades or luxury cars that aren’t within your budget. Being pre-approved does not mean you are agreeing to the loan. So if you change your mind, it’s not a problem. The pre-approval process is simple, requires some basic information about your personal finances, and only takes a few minutes. Here’s what you’ll need in order to apply. Employment and Income: You’ll need to list your current employer and an estimate of your monthly income. Driver’s License: You’ll need a copy of your driver’s license. Address: Your address will be used to find potential lenders (and dealerships) in your neighborhood. 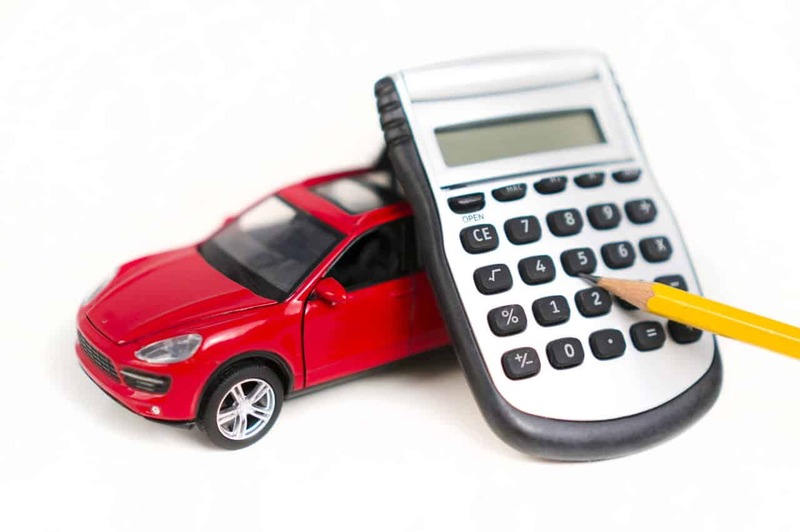 Down Payment: You’ll also need to estimate your auto loan down payment. This isn’t a requirement. But if you can make a down payment (even a few hundred dollars), it can help to reduce your monthly loan payments. Once you’re pre-approved for a car loan and are happy with the car loan terms and interest rates, you can start shopping for a car. Even though it might seem intimidating to find car loans in Canada for good, fair or bad credit, it’s actually a straightforward process. LendingArch assists Canadians form across the country. Whether you live in Calgary Alberta or Hamilton Ontario, LendingArch can help. Just remember: don’t settle for any old auto loan. Be sure to stay informed, compare lenders, and get pre-approved before you ever set foot in a dealership.